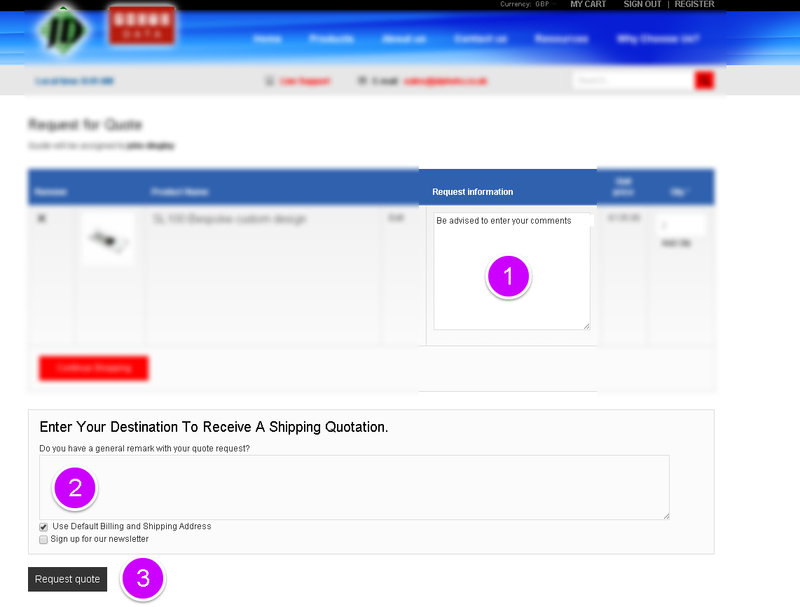 To order, you can simply click on the “view quote” button and then once the quote is displayed, click the “confirm and checkout” button which will take you directly to the checkout process. Alternatively, from the quote view page, you can re-print the quote at any time, or if you wish to change items or alter the quote in any way, you can even resubmit the quote request by clicking the appropriate buttons at the top of the quote view page. An alternative method to accept the quote and turn it into an order, is to click the link that is embedded in the email that you receive. This will again take you to your account and quote, where you will be able to accept the quote. Add any specific comments regarding the actual product required, such as technical specifications. 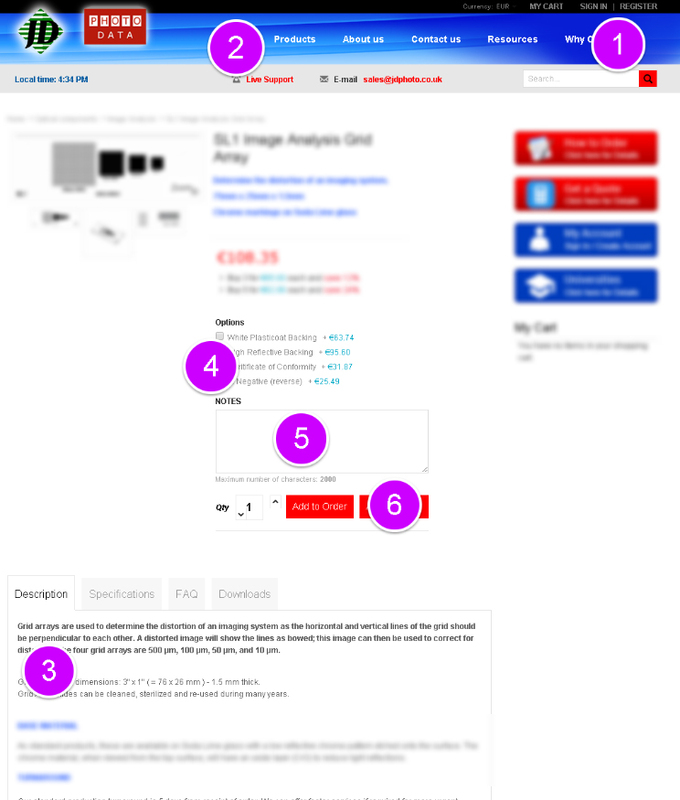 You may have already done this on the product page – if that is the case, there is no need to re-enter it again. 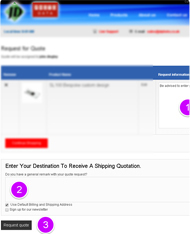 Add any general notes regarding the actual quote process, such as delivery schedules or other general requirements that are not product based.If you have registered and signed into your account, then you can opt to choose the default shipping adress which is allocated to your account. If not, then please enter them now if you wish to quote to include shipping charges. 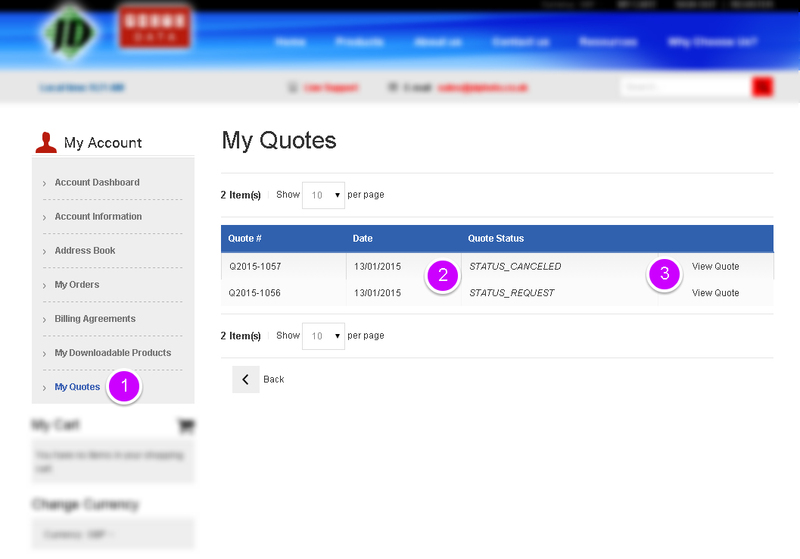 Click the “request a quote” button. 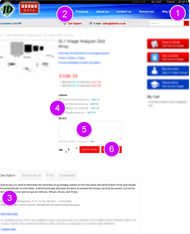 You are taken to a confirmation page where your Quote number will be allocated. Please make a note of this number for future reference. We will now receive the quote request and will review it. Normally this review is carried out within a day (normal working office hours) , but if the quote is quite complex then it may take a short while longer. 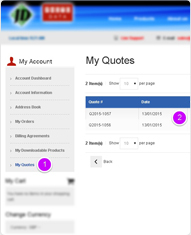 Often most customers, for siimple products, receive their quote within a few hours. Shortly, you will receive your fully itemised quote by email. "Please click on each section above to learn about the different quote stages. If at any time you need help, please use the “live support” button to speak directly to one of our support staff."